We’re seeing quite a few fields with spider mites in Arkansas, some at pretty high levels. Many fields have been treated for plant bugs and/or bollworms several times, so beneficial insect populations have pretty much been knocked out. This has caused spider mite populations to increase in the absence of their natural enemies. Our recommended treatment level is when 50% of the plants are infested, and the population is growing. However, we sometimes see spots or areas of the field that may have heavy infestations. In those situations, a spot treatment may be warranted. Some growers are seeing low levels of mites along with treatment level populations of plant bugs and are adding a miticide to try and clean up the field. Spider mites can develop resistance to miticides, so rotating chemistry is recommended. Do not apply the same miticide chemistry to a field repeatedly. Resistance to abamectin products has been documented in the past. However, this resistance does not appear to carry over from year to year. If a grower uses an abamectin (Agri-Mek) product for mites and needs to treat again later, it is recommended that they rotate to another chemistry such as Portal, Zeal or Oberon. Spider mites feed in colonies on the undersides of the leaf. Therefore, the type of application is also important in order to get good control. A higher volume of water (the Comite label specifies a minimum of 25 gpa by ground, 5 gpa by air) using proper nozzles is recommended. Hollow cone nozzles work well at fogging the miticide down into the canopy where the mites reside. Some miticides also list using a surfactant on the label as a requirement, so be sure to always read the label. Avoid using ai nozzles. Ai nozzles produce large droplets which do not work well with miticides or insecticides. 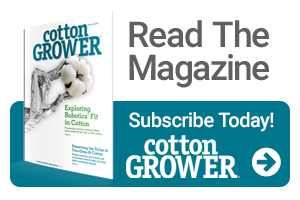 A list of recommended miticides and rates can be found in the cotton section of MP144 Insecticide Recommendations for Arkansas. Dr. Glenn Studebaker is Extension Entomologist/IPM Coordinator for the University of Arkansas. See all author stories here.